Sure. Anyone can write an email in the business world today. But can you write ones that increase your chances of a fast response and that build your professional image? 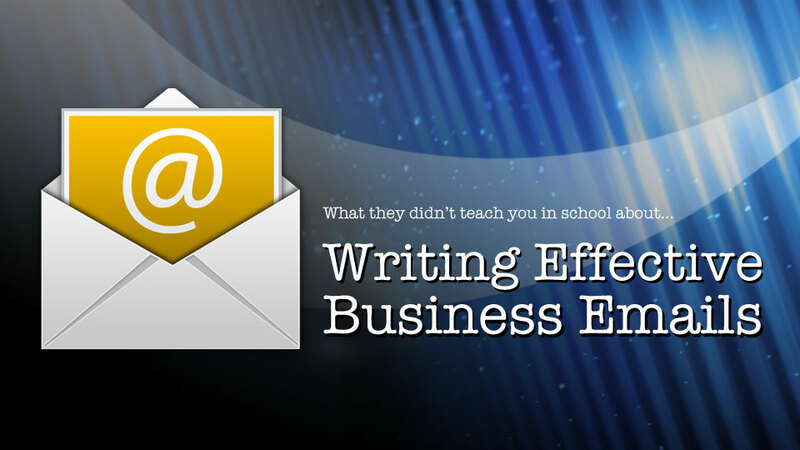 By taking this 90-minute course, you will learn with all sorts of tips for writing powerful, business emails. I’ve divided the course into three sections: What You Should Know About Emails, Writing Style and Tone, and Organization. I’ve been conducting business writing workshops in both the private and public sectors for over 15 years, and I’ve listened to the concerns of both senior managers and support staff when it comes to written communications. And the most common complaint today is poorly written emails. Our online courses are offered through the Udemy e-learning platform. This allows us to focus on delivering great course content rather than e-learning technology. Udemy currently has 1,000,000 plus active students! and get the course for only $15 USD! Note: Price is in USD with no applicable taxes as the course is hosted on the UDEMY platform based in the US. Hurry… this special offer may end at any time! Ontario clients with bulk licensing requirements can be invoiced locally. Payment would be made by business cheque with HST applied.